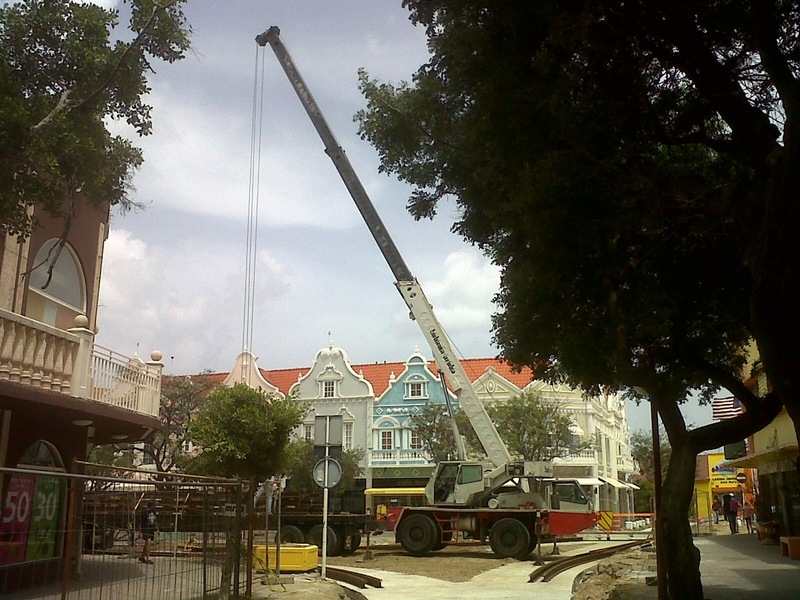 For the past several months, the infrastructure for a trolley system has been under construction in Aruba. Here are some recent photos. The first showing the Y junction behind the Renaissance Mall. Y junction of Trolley in Oranjestaad. 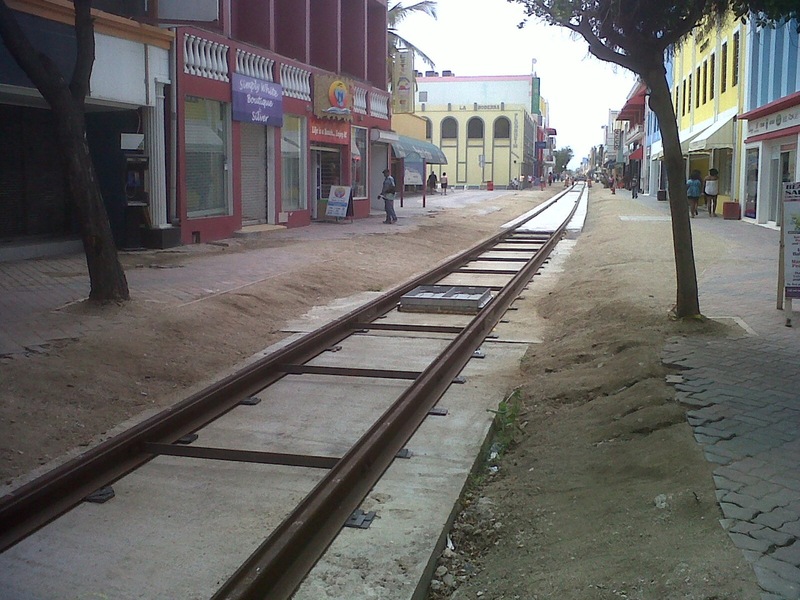 Trolley tracks down shopping street, Oranjestaad, Aruba. Eventually the line will connect over to the cruise ship terminal. This will give passengers a new option for getting to the various shopping and dining areas around Oranjestaad. Bon dia.